CROCHET CURTAIN SHIRT — CLAFLIN, THAYER & CO.Claflin, Thayer & Co. I made a doily shirt this weekend. Crochet - everyone is doing it! But really... I got this fabric over 10 years ago when I worked at Poppy Fabrics in Oakland, CA, now shuttered. They had an amazing assortment of filmy drapery material and curtain laces which I've really got a soft spot for and collected over my years working there. I dipped into the stock pile on this rainy weekend when there wasn't much else to do but stay inside and sew something saucy. 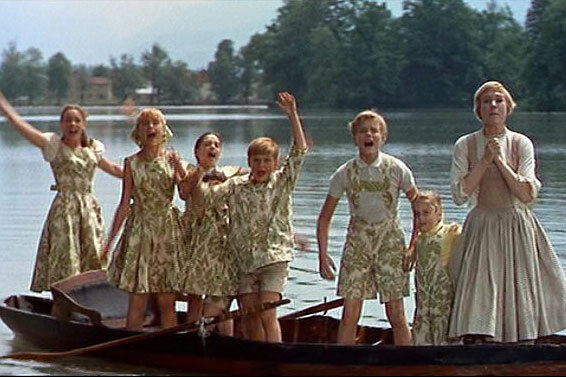 Top 2 inspirational sewing movies: Pretty In Pink, where Molly Ringwald whips up a frothy prom dress, and The Sound Of Music where Julie Andrews sews an outfit for each of the von Trapp Family children out of the old curtains from their bedroom. If Julie can do it, so can I! 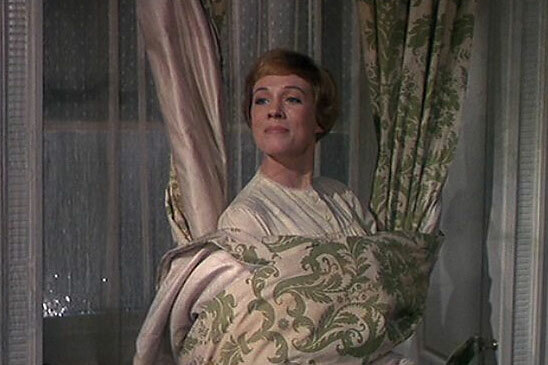 I had cafe curtain yardage, which is really short in width, and a longer curtain yardage also. I love the scalloped edge and decorative lace design at the border. I used the cafe curtain for the short sleeves and the longer pieces for the body. This is obviously a cut-and-sew piece - I didn't crochet the whole thing, but I sure as hell wish I knew how to do that. Oh la la...so sheer. Just a really simple shape - the crochet pattern is busy enough that the cut should be easy. Love me some lacy things and that's that.